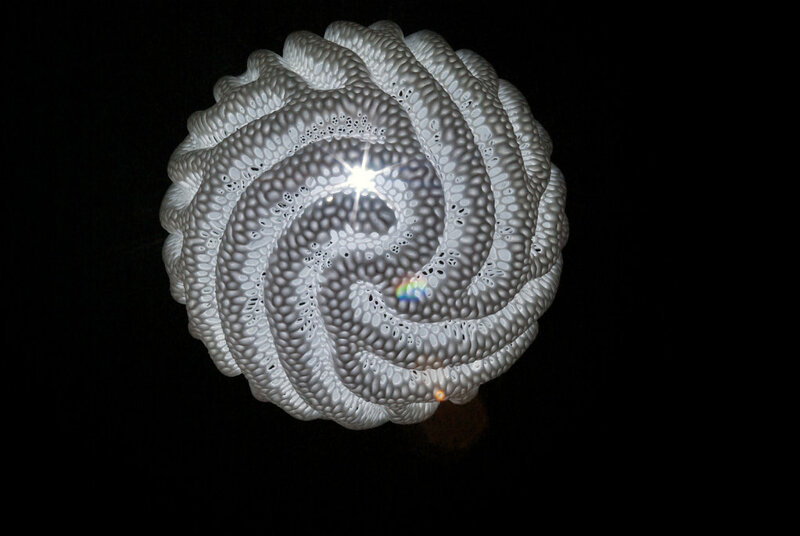 Our Reaction housewares collection was released in 2010. 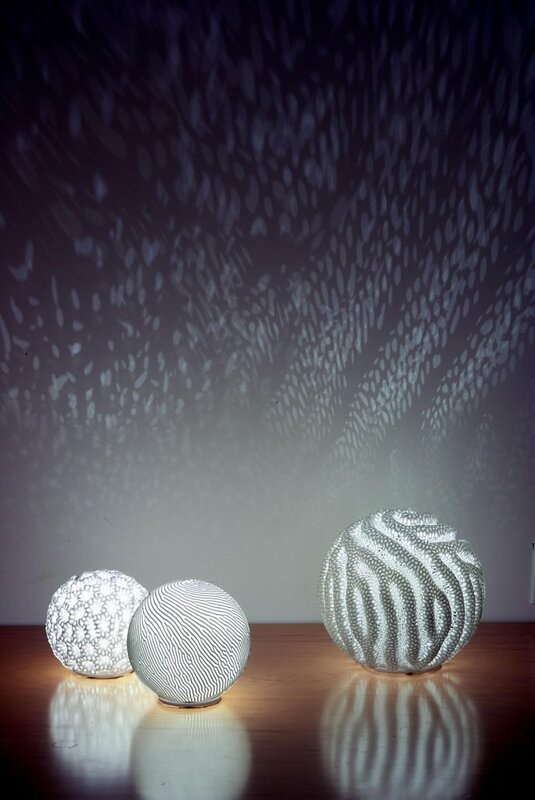 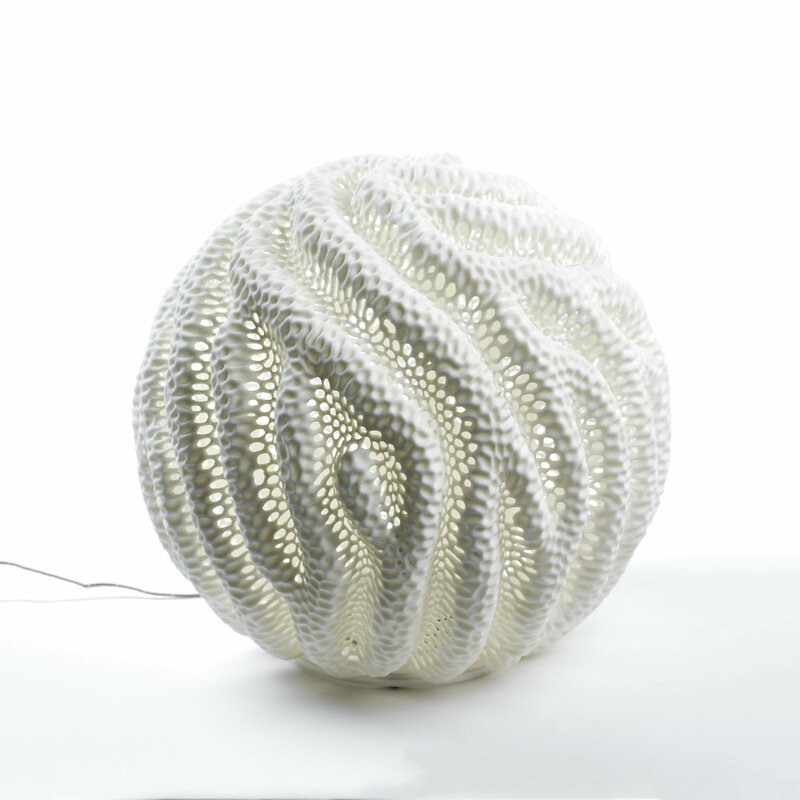 The collection includes porcelain cups and plates and matching 3D printed lamps. 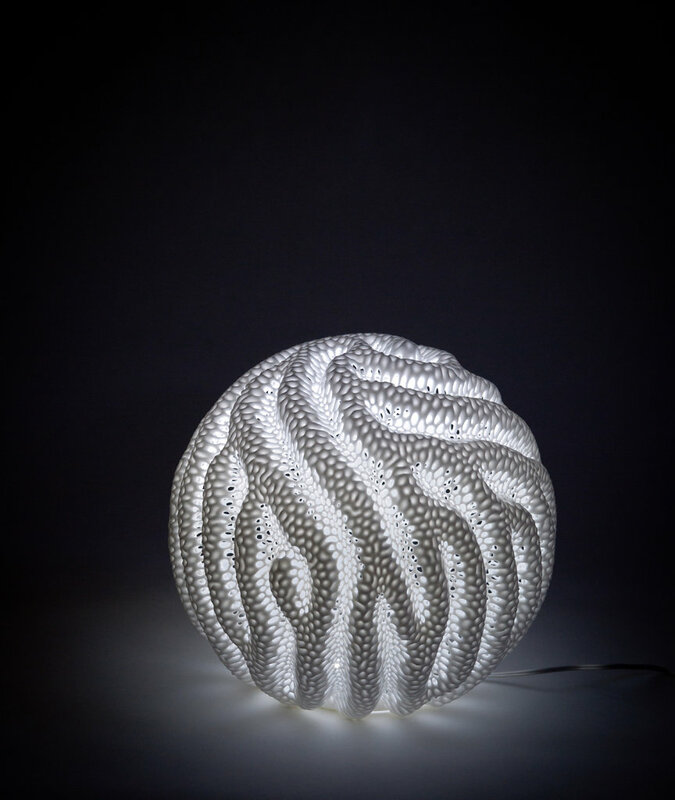 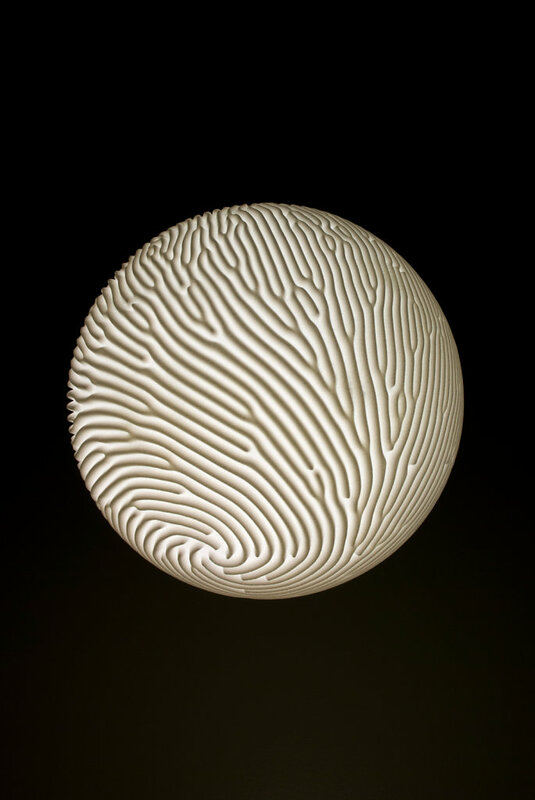 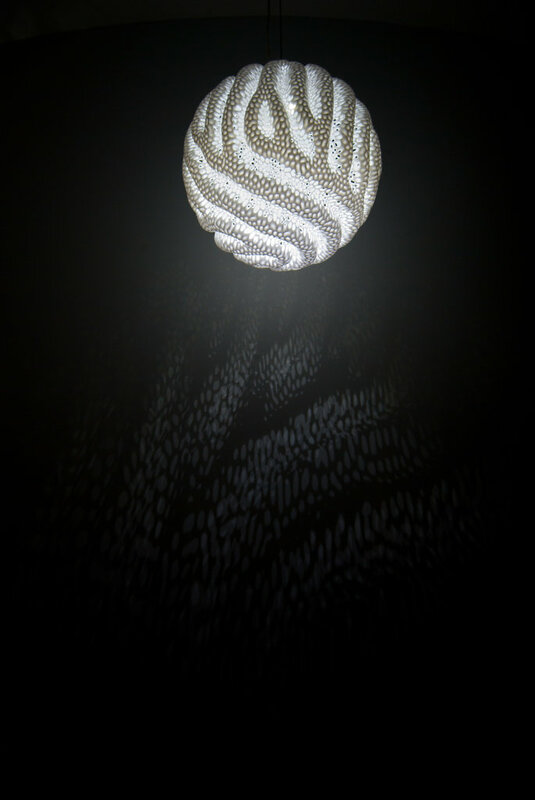 The pieces are intricately embossed with intertwining patterns of ridges and valleys that create a unique experience that is both visual and tactile. 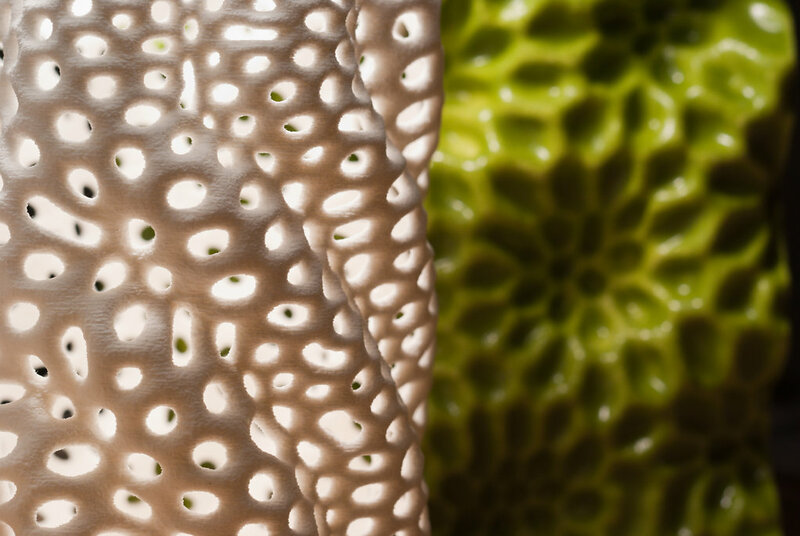 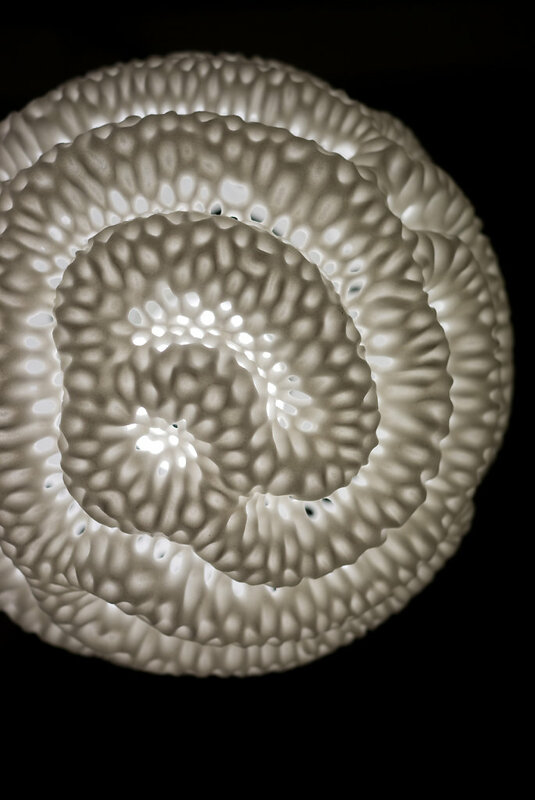 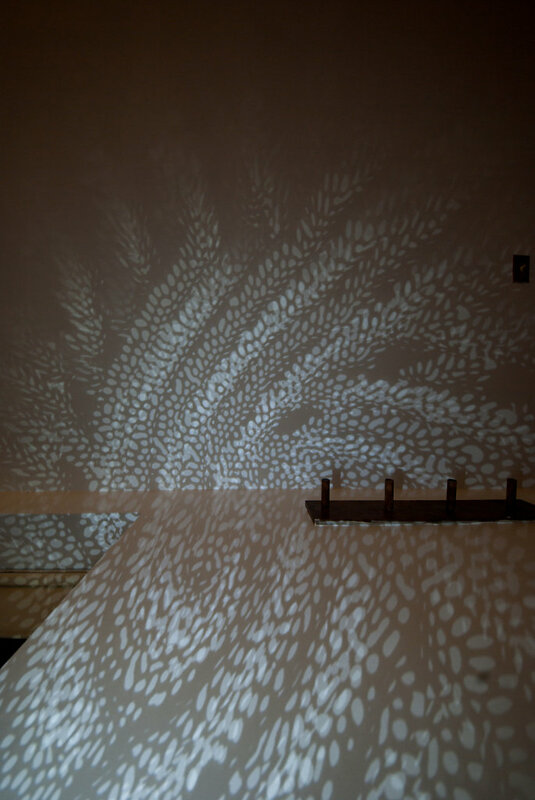 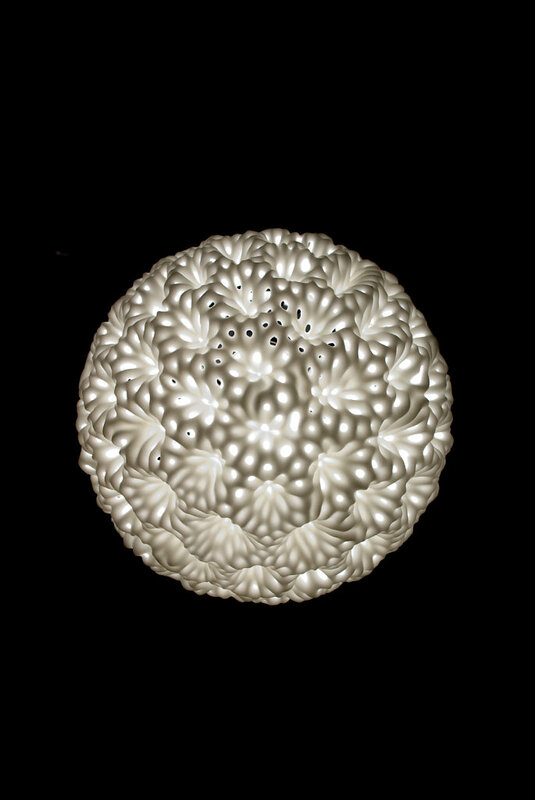 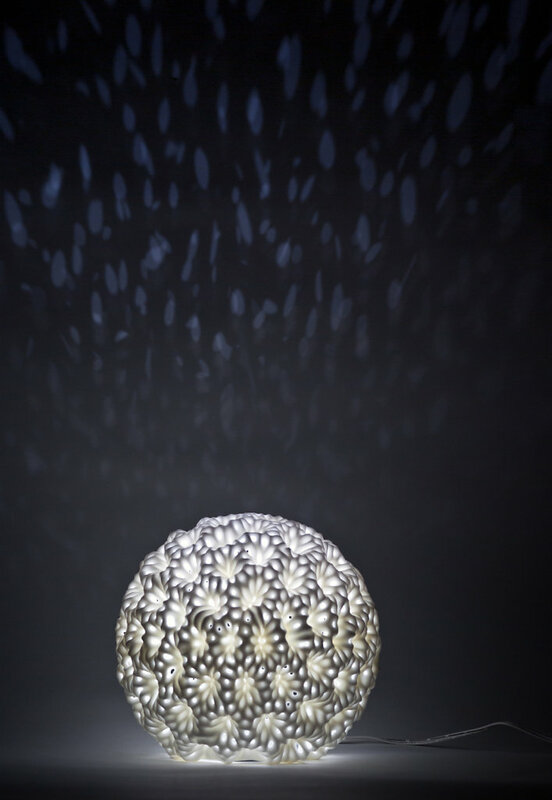 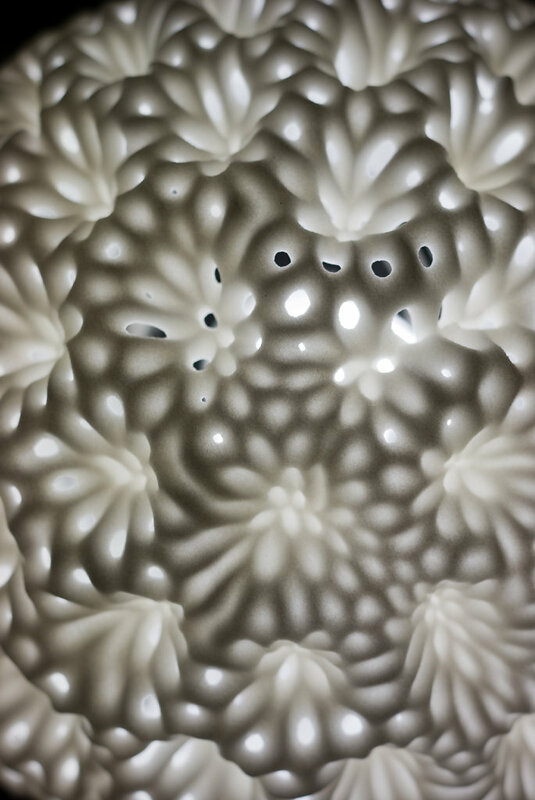 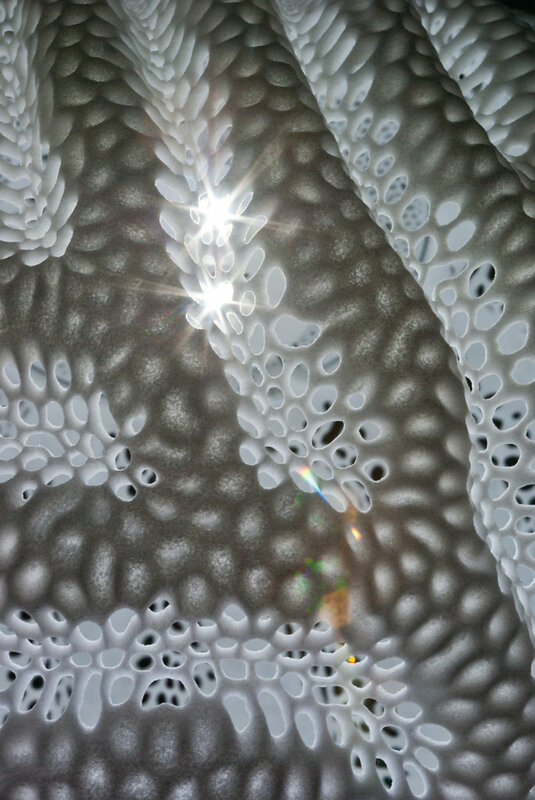 The designs are grown through a computer simulation of reaction-diffusion, a chemical patterning mechanism observed in a myriad of biological systems, from animal prints to slime molds.